Auction date: Sunday 5th May 2019 09:00:00 PM. There are still 10 days, 2 hours and 25 minutes before the pre-sale closes. 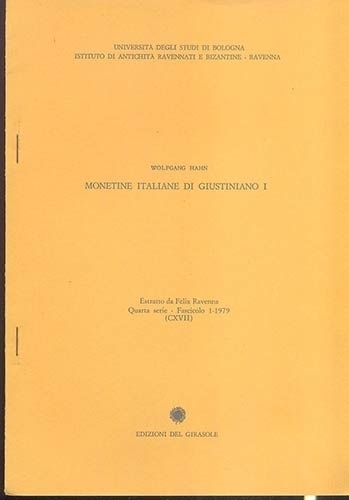 Hahn W. Monetine italiane di Giustiniano I. Ravenna, 1979. Brossura editoriale, pp. 11, tavv. 2. importante lavoro.